Gorgeous Red Pure Georgette And Silk Koti Anarkali Suits. Maximum possible bust size: 42 inches. Gorgeous red pure georgette and silk koti Anarkali Suits designed with resham, zari, sequins, stone, applique and patch border work. Available with shantoon churidar and faux chiffon dupatta . (Slight variation in color, applique and patch border work is possible.) Its a pretty Anarkali Suits for wear on Wedding and Ceremonial. 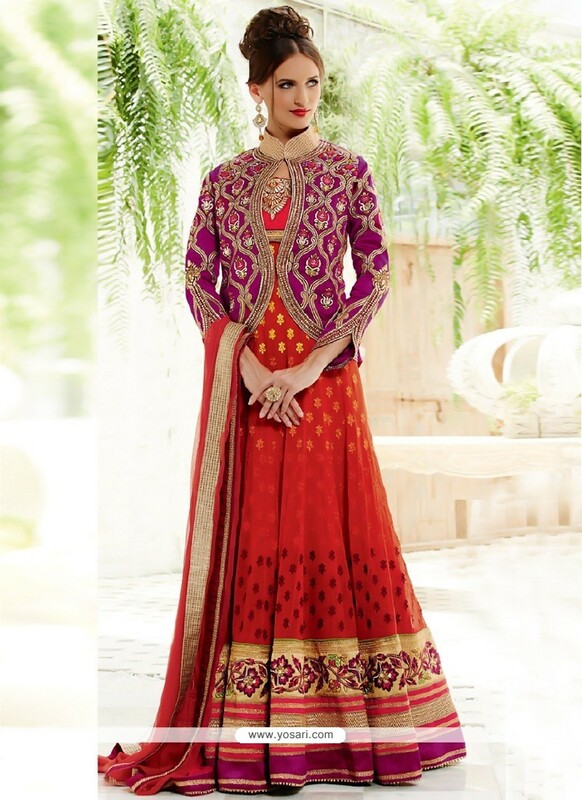 Faux georgette Fabric and Red color Resham and Embroidered used to make this stylish suit.